DAPHNE, AL (August 8, 2017) – Dr. John Todd, local orthopaedic surgeon in Baldwin County and medical director of The Shoulder Center, will participate in a course designed for orthopaedic surgeons who are preparing for the recertification and/or the sports subspecialty exam or others, including athletic trainers, who would like an in-depth review of orthopaedic sports medicine. The 2017 AOSSM/AAOS Orthopaedic Sports Medicine Review Course is to be held Friday, August 11, 2017 through Sunday, August 13, 2017 at the Fairmont Chicago, Millennium Park, Chicago, Illinois. Learning objectives for participants will include updating their knowledge on how to implement an effective evaluation algorithm for musculoskeletal and medical sports medicine conditions; how to assess and apply surgical and nonsurgical treatment recommendations and rehabilitation protocols for the management of essential musculoskeletal and medical conditions germane to the practice of orthopaedic sports medicine; how to integrate prevention strategies with their health care team(s) to improve musculoskeletal and medical health in patient population; and how to analyze and interpret research. DAPHNE, AL (July 20, 2017) – Longtime Baldwin Bone & Joint (BB&J) orthopaedic surgeon Rhett Hubley, M.D. is expanding his clinical services, focusing his talents on a non-operative, office-based practice. Ultimately, Hubley will transition to a non-surgical practice effective August 7, 2017. The move coincides with the addition of orthopaedic surgeon Michael Chamblee to the practice. Daphne, AL (April 4, 2017) – Hundreds of people – primarily students and teachers – in Baldwin and Mobile Counties recently donated gently used shoes to Baldwin Bone & Joint’s 14th Annual Many More Miles Campaign, resulting in 1,910 pairs of shoes finding new life. Dr. John Todd and Seneca Walden, C.R.N.P., proudly display the mountain of shoes collected during the 2017 Many More Miles Campaign. The 1,910 pairs of shoes were donated to the outreach programs of Wings of Life and Discovery Ministries. Chuck Carlisle, Practice Administrator for Baldwin Bone & Joint, P.C. presents Glenda Warren, Principal of Dixon Elementary School and Faye Hussong, P.E. Coach with a $300 check to benefit the school’s PE program. Students at the school collected 743 pairs of shoes to win first place in Baldwin Bone & Joint’s fourteenth annual Many More Miles campaign. The shoes collected will benefit the homeless ministries of Wings of Life and Discovery Ministries. For more information, call 621-5387. Daphne, AL (August 4, 2016) – Doctors John L. Todd and Andrew Harcourt, Orthopaedic Specialists with Baldwin Bone & Joint, P.C., along with Rachael Hartman, DPT, Director of PT Services, will provide a continuing education program especially designed for nurses, case managers and physical therapists on Thursday, August 25th. The program entitled “Orthopaedic Updates in the Care of Shoulder Pain” will be held in the Community Room of the Thomas Medical Center. 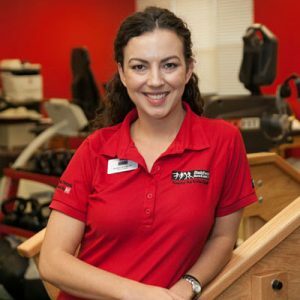 The doors will open at 6:00 p.m. for registration and dinner, followed by presentations from 6:30-8:30 p.m.
Rachael Hartman, DPT, Director of PT Services, has a Doctorate of Physical Therapy from the University of Alabama, Birmingham, and a B.S. degree in Exercise Science from Auburn University. Her talk is entitled, “Non-Operative and Post-Operative Physical Therapy for Common Shoulder Pathologies,” whereby she will review the anatomy of the shoulder, discuss the concept of mobility vs. stability in shoulder joint, list common shoulder pathologies referred for with physical therapy, and describe the differences between non-operative and post-operative treatment approaches in physical therapy in common shoulder pathologies. (Photo: Rachael Hartman, DPT) Thomas Hospital is accredited by ABN as a provider and approver of continuing education in nursing through Thursday, June 15, 2017, #ABNP0105. 2.0 contact hours will be provided to attendees. All nurses attending must scan their license. All attendees must register in advance. No registration will be accepted by phone or mail after Monday, August 22. The registration fee of $15 will be refunded to each participant at check-in. For more information, call 251-279-1703. 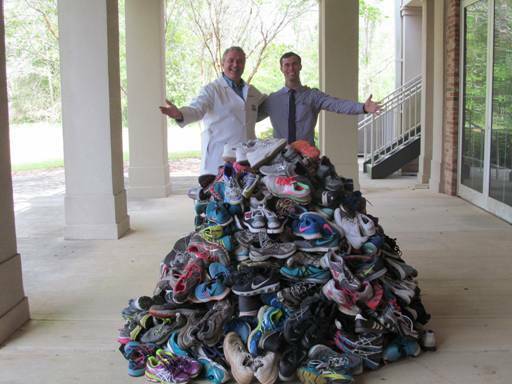 Daphne, AL (April 7, 2016) – Hundreds of people in Baldwin and Mobile Counties recently donated gently used shoes to Baldwin Bone & Joint’s Many More Miles Campaign, resulting in 1,899 pairs of shoes finding new life. Baldwin Bone & Joint, P.C., Mobile and Baldwin County YMCA branches, the Port City Pacers, McCoy Outdoor Co., Dr. Glenn Glass, and the USA Student Recreation Center partnered to collect shoes for the homeless outreach programs of Wings of Life and Discovery Ministries. The campaign, now in its 13th year, got off to a running start in January and concluded at the Azalea Trail Run held on March 19th. Students in Mobile and Baldwin Counties were also given the opportunity to collect shoes and earn money for their schools’ PE programs. Dixon Elementary won first place, collecting 804 pairs of shoes and received a $300 prize. 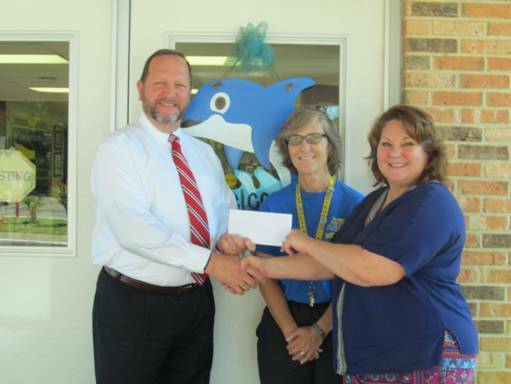 Fairhope Intermediate took second place, and Spanish Fort Elementary received third prize. Used running shoes may be donated year-round at McCoy Outdoor Co. on Springhill Avenue in Mobile. 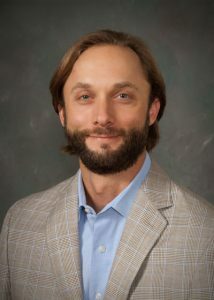 DAPHNE, Ala. (April 4, 2016) – Dr. John L. Todd, Medical Director for The Shoulder Center (TSC) and orthopaedic surgeon, will discuss the common causes and solutions for aching shoulders at the “Oh My Aching Shoulder: Understanding Common Causes and Solutions” event on April 19 at 6:30 p.m. at Baldwin Bone and Joint (BB&J) in Daphne. This community education seminar is developed especially for those seeking solutions to issues of the shoulder. The shoulder is the one of the most mobile and problematic joints of the body, and common symptoms of shoulder problems include pain, weakness and loss of motion that can interfere with activities of daily living, work and recreation. Todd, shoulder specialist, will discuss common causes for this and what options are available at TSC including non-operative and operative care. The Shoulder Center, the latest in specialty care to be offered by Baldwin Bone & Joint, takes a comprehensive approach to the care of shoulder conditions. 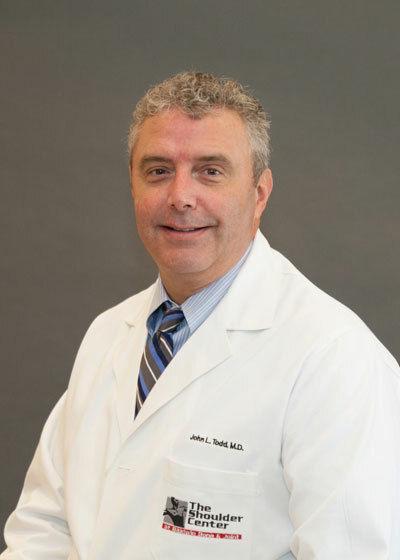 Dr. John Todd and the TSC staff are trained and equipped to see patients with shoulder problems through every step of the diagnosis, treatment, and recovery process. The primary goal of TSC is to return each patient back to his or her lifestyle, and the activity level he or she enjoyed before, as quickly as possible. DAPHNE, Ala. (March 21, 2016) – Baldwin Bone & Joint, P.C. (BB&J) is pleased to announce the opening of The Shoulder Center (TSC) with Medical Director and orthopaedic surgeon, Dr. John L. Todd. This specialized practice focuses primarily on non-operative and operative care of the shoulder and will allow new patients to schedule appointments for specialty shoulder care faster. Office locations are in Daphne and Orange Beach, AL. The Shoulder Center, the latest in specialty care to be offered by Baldwin Bone & Joint, will take a comprehensive approach to the care of shoulder conditions. These specialized services allow Todd to focus his skills and experience primarily on the care and treatment of shoulder and upper extremity issues. TSC also sees patients with work-related injuries. “It is my primary goal to return each patient to an active lifestyle, free from shoulder pain and limitations,” states Dr. John Todd. Common symptoms of shoulder issues include pain, weakness and loss of motion that can interfere with activities of daily living, work and recreation. 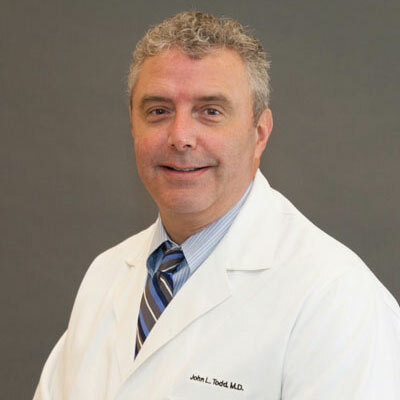 Dr. John Todd and the TSC staff are trained and equipped to see patients with shoulder problems through every step of the diagnosis, treatment, and recovery process. The primary goal of TSC is to return each patient back to his or her lifestyle, and the activity level he or she enjoyed before, as quickly as possible. 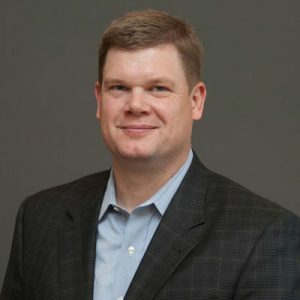 The most common surgeries performed by Dr. Todd include shoulder arthroscopy, shoulder replacement surgery, rotator cuff repair, and shoulder instability repair. In addition, Dr. Todd also performs rotator cuff revision surgeries for patients who have previously had a rotator cuff repaired but continue to experience pain and limitations. The Shoulder Center is now accepting new patients. Call 251.625.2663 to schedule an appointment and visit theshouldercenter.net for more information. 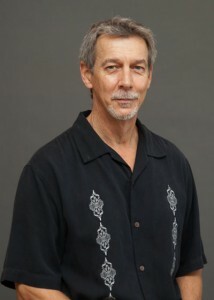 Dr. John Todd is also on Facebook and Twitter.